Adware is an unwelcome intrusion in many browsers. It attempts to trick or force you into clicking through to a website you weren't planning on visiting, to generate revenue for the company that produced it. Some versions of ad software also contain hidden viruses, posing a serious risk to your Mac and data it contains. 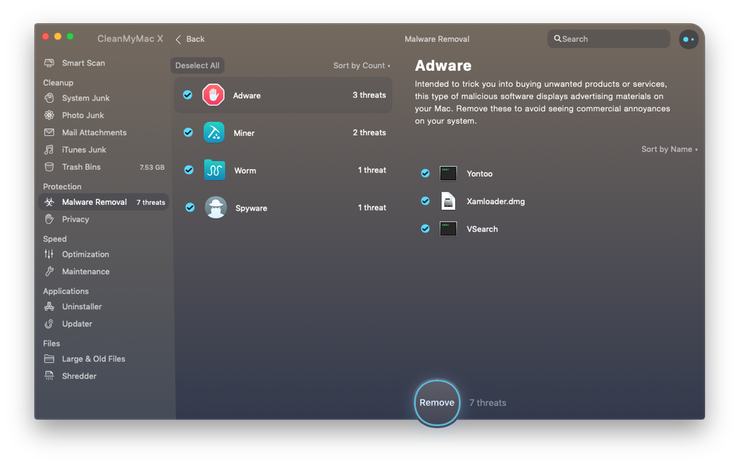 Fortunately, there are ways to remove this rogue software manually via your browser and your system files, and with a cleaner tool like CleanMyMac X. We’ll take you through each of these methods to help you get rid adware on your Mac for good. If you’ve noticed any of things happening when browsing the internet on your Mac you’re almost certainly dealing with adware. In which case, you need to take action. To remove adware from your Mac you need to change your browser preferences and dig into your system files to find and remove the culprit. The first thing you should do to curb the onslaught of nuisance ads is close all pop-ups. DO NOT DO THIS BY CLICKING ON ANY BUTTON IN A POP-UP. Instead, click on the X in the top left of the window. If the pop-up refuses to close, press Command+Option+Escape to open the Force Quit window. Select your browser from the list and click Force Quit. Hold down Shift when restarting your browser to stop any previously opened windows from reappearing. Next, in the Safari Preferences click on the Security icon and select Block pop-up windows. Click on the three dots in the top right corner of the browser. Select Settings, then Show Advanced Settings > Privacy > Content Settings. In Pop-ups, block the ability for any site to show pop-ups. Extensions are an important part of the browsing experience but you shouldn’t have anything that you don’t recognize. If the name of a pop-up isn’t familiar or you don’t know what it does, disable it. Go to Preferences > Extensions. Select an unfamiliar extension from the list and click Uninstall. 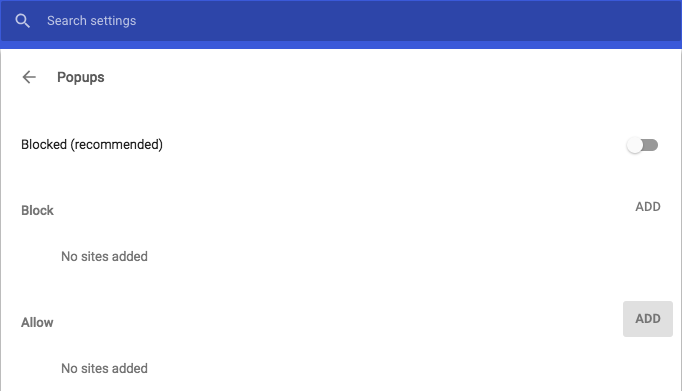 Find any unfamiliar extensions in the list and uncheck the Enabled box. Finally, make sure adware hasn’t changed your browser homepage or search-engine settings. This can be done in the General tab of the Safari browser settings or in the On Startup and Default Browser sections of the Chrome browser settings. Tackling adware in your browser will help to improve your browsing experience but it doesn’t guarantee to completely free you from the virus. Adware often finds its way onto your system by bundling itself in with legitimate Mac software and is installed at the same time. So you’re going to need to delve into your system files to root out the adware and delete it. You can do this manually or with an application like CleanMyMac X. Because of the way a manual deletion works (sending files to the Trash), CleanMyMac X is the preferred option. A file placed in the Trash and removed can leave behind associated files that lie deep inside system files, meaning the pesky adware still exists on your Mac. CleanMyMac X, on the other hand, scans your system for any leftover parts and removes them in full. CleanMyMac X can detect and remove thousands of threats, including adware, viruses, worms, spyware, and more. With its dedicated Malware Removal tool, you’ll stay safe. Click on Malware Removal from the sidebar menu. If you’d prefer to remove potential adware manually before opting for an app like CleanMyMac X, it’s easy to do, albeit a little more time-consuming. From the LaunchPad open Activity Monitor. Find the suspect applications (Genio and InstallMac are common culprits) and click the Force Quit button in the top left corner of the window. Go back to your applications and drag the app to the Trash. Adware seeks to steal your money and your personal details and does so by damaging system performance. If you’re worried that your Mac could be infected, err on the side of caution and follow the instructions in this post to lock down your browser and delete files. If you suspect that adware has installed itself on your system, get CleanMyMac X to ensure you get rid of it for good. CleanMyMac X is recommended by MacStories and MacWorld Magazine as a top Mac utility. 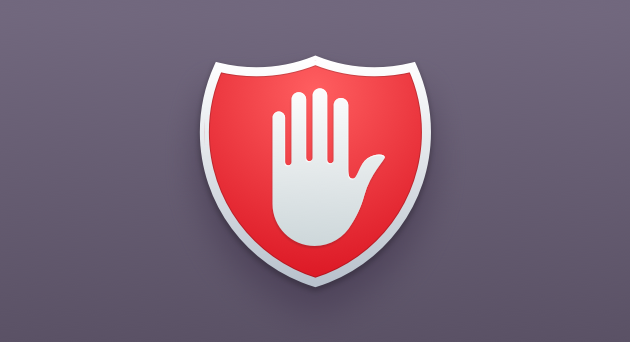 Download it today to keep your Mac safe from harmful adware.